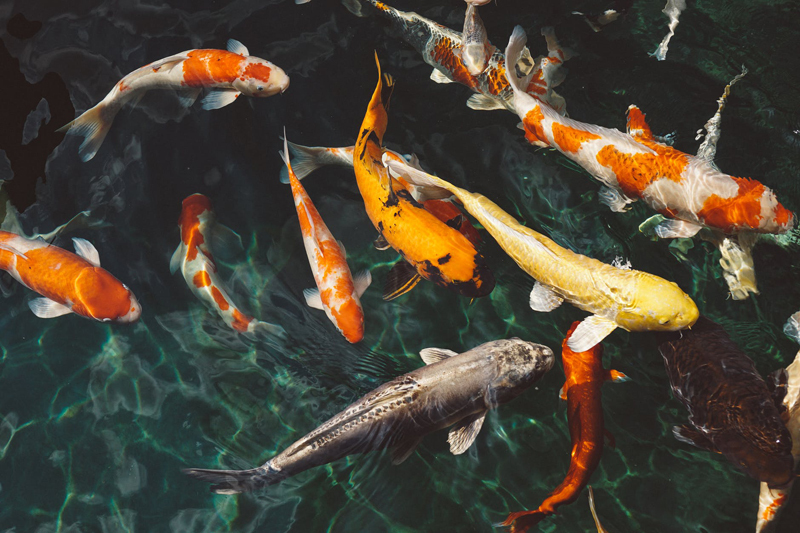 How does the hot weather effect your aquarium and what should you do to maintain the correct water temperatue even in summer months when the temperature can rise and fluctuate? Of course, you need to maintain the correct temperature for your aquarium fish. Some readers have told me that they just leave windows open for fresh air and save money by not running the air conditioner. Sometimes, they use fans in their home in various ways to try and cool down the house enough for themselves. Some people have swamp coolers - which cool - but not the same as an air conditioner. Even air conditioners cooling the air in your home to lower temperatures can effect your aquarium water. So, what do you do to make sure your fish are fine as far as their appropriate water temperature? This is especially important while you are out of the house and cannot be there to monitor the water temperature while you are at work or other activities. After all, we love our fish, but we've got to go out and make a living to buy fish food and other needs to keep them healthy and happy! You'll need to first of all, position your aquarium strategically in an area in your home away from drafts to help avoid fluctuations in temperature. If possible, adjusting your air temperature in your home with your air conditioner is usually ideal - depending on where you live, of course. You should keep a notebook of the daily temperature of your aquarium water and note any fluctuations. If your water temperature is not consistently correct, then you can begin to investigate the problem so you can fix it. You can start to cool your aquarium water down by putting up a shade over your aquarium. You can attach another air stone to a hose and then to your air pump to oxygenate the water better. You can fill a hot water bottle with cool water and float it in the aquarium. You can do your partial water change and add some cooler water gradually. And, of course, if you have a water heater on, turn it off. Check it to make sure it's working properly. A final option is an aquarium water chiller. You will want to choose one depending on the type of fish you have in your aquarium. The water temperature in your aquarium is very important because if the water is too hot or too cold, the fish could die.